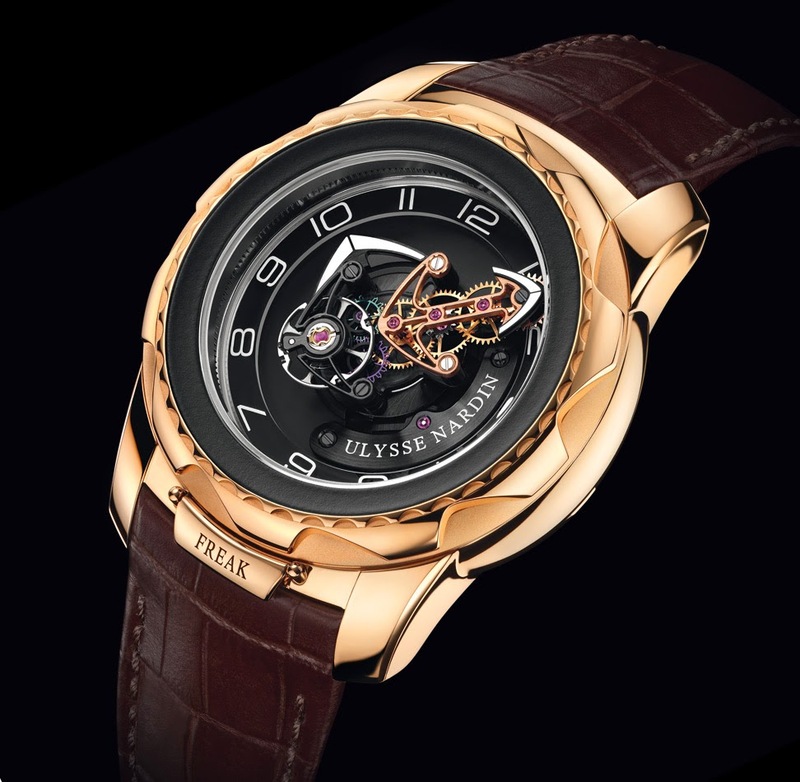 The famous Freak model from Ulysse Nardin has undergone a radical redesign of its movement with the new Freak Cruiser which continues the innovation path of this iconic timepiece. 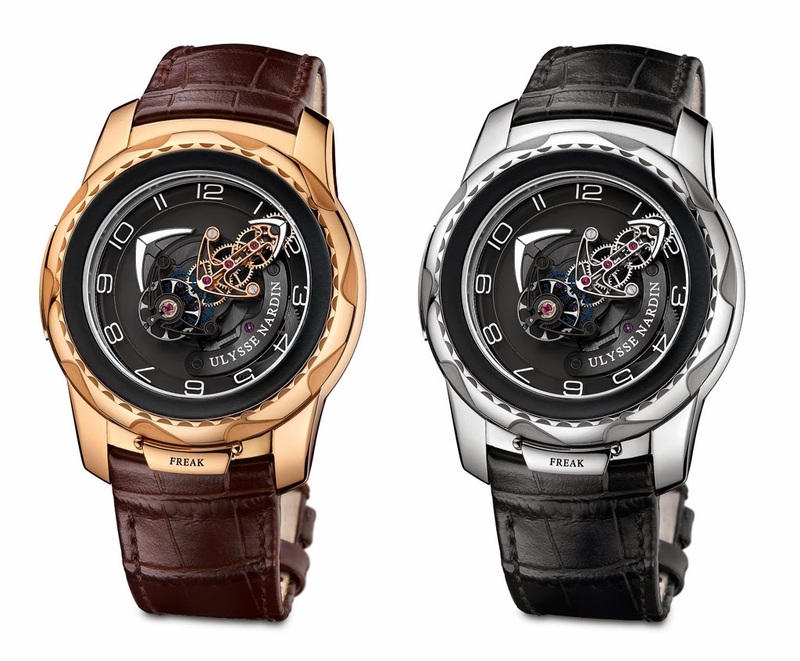 Stripped of its dial and hands, the Freak Cruiser is designed so that the Flying Carrousel movement revolves on itself. Linked to the centre, the lower bridge indicates the hours, while the upper bridge shows the minutes. 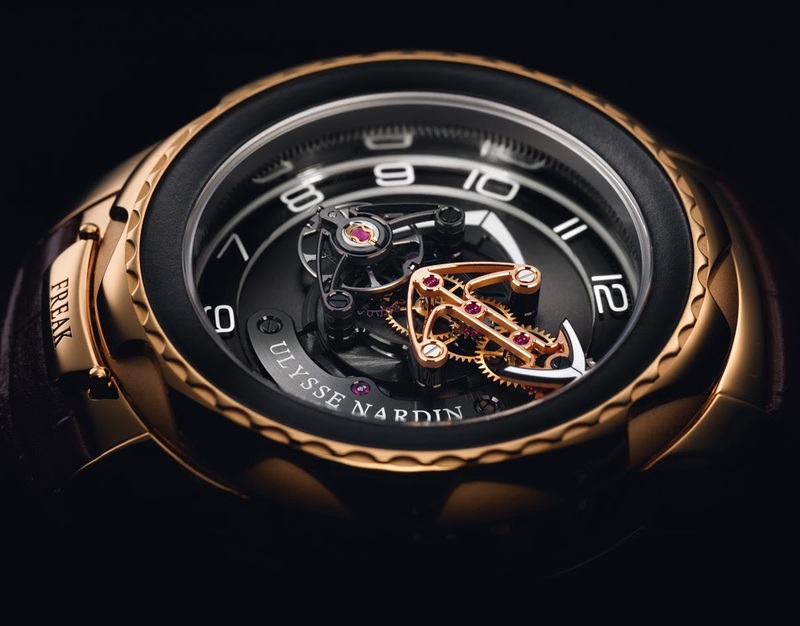 The upper bridge also bears the gear train, the balance spring and the Dual Ulysse silicon escapement with its exclusive architecture which, abandoned the traditional anchor and anchor wheel, locates two silicon impulse wheels at its centre. Each one is equipped with 18 active teeth which engage in turn, activating an alternator which transmits its energy directly to the balance staff — first in one direction, then in the other. This structure, which requires no lubrication, ensures that the force is always released in the direction of the balance rotation, thereby minimizing friction. The 45 mm case of the Freak Cruiser has also been redesigned while maintaining the typical traits of the Freak model. Particularly evident is the new bezel with its wave design and the streamlining of the lugs. 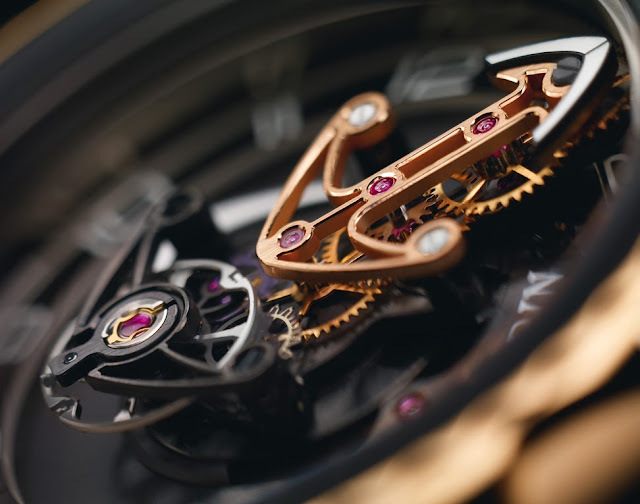 Located between the lugs at 6 o’clock, a safety catch is used to liberate the rotating bezel which adjusts the hours and minutes without the need for a crown. 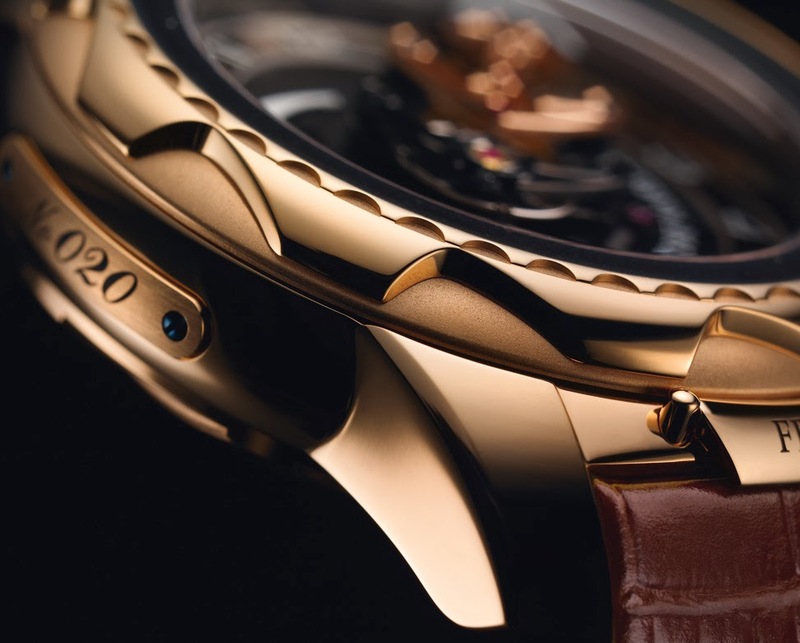 As for winding the barrel - designed to offer a power reserve of more than seven days – this is performed using the rear bezel. 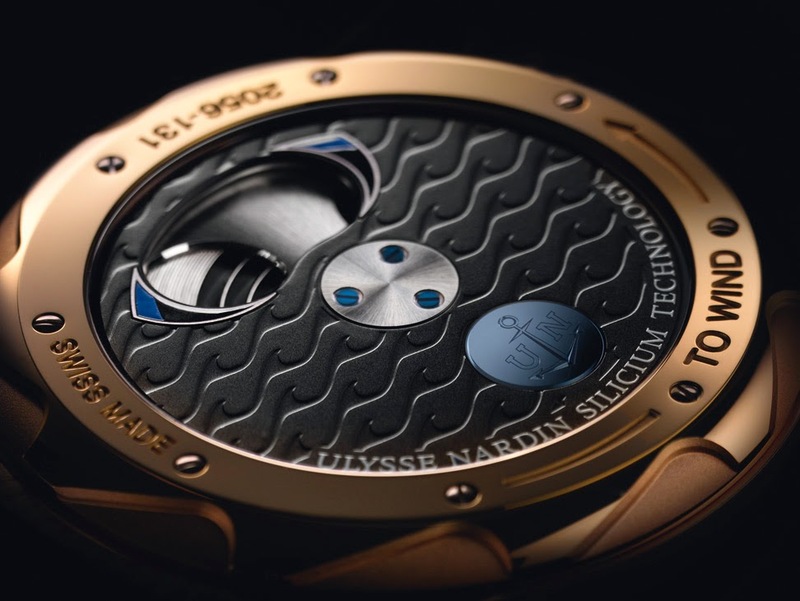 One full rotation of the rear bezel is equivalent to 12 hours of power reserve. Mounted on an alligator strap with deployment buckle, the Freak Cruiser is available in rose gold and white gold.